Is there a way to add the drop down menu for states into the address section? I noticed in the address properties that the State Field is ( input_12_state ) is there a way to delete or edit that out and add the ( input_35 ) in its place to have the drop down State Feild? 2. Add a drop down field in your form to list the states. and hide the label of this field with the help of custom css code. 3. 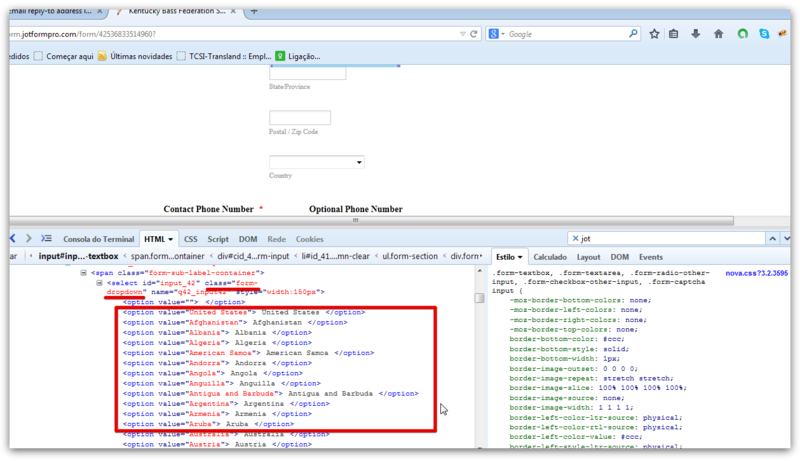 Add custom css code in your form to position this drop down field in the place of state text box. 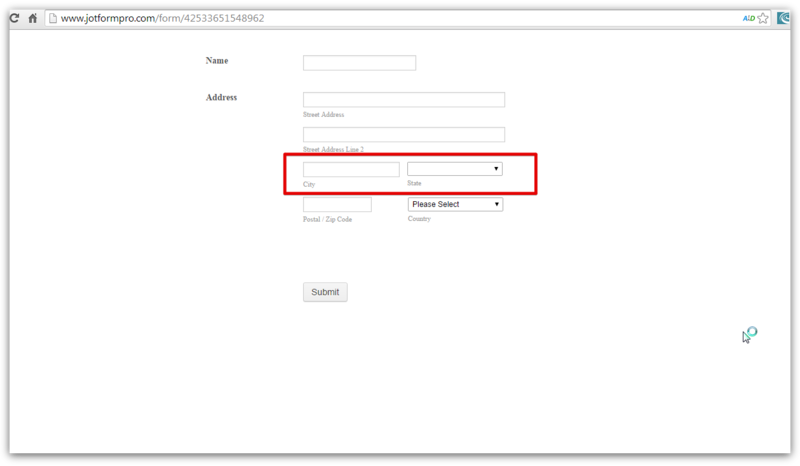 Please take a look at the following form where I have added a drop down field in place of state field: http://form.jotformpro.com/form/42483534790965? Do get back to us if you need any changes. New response receivedWhen I clone the form that has your drop down state menu on it and open it on my jotform site it doesent have the drop down in the same place that it is on your form. Mine places it in a seperate line not connected to the address menu. I noticed yours has Jotform Pro on it mine is premium could that be the differance? New response receivedWhen I clone the form that has your drop down state menu on it and open it on my jotform site it doesent have the drop down in the same place that it is on your form. Mine places it in a seperate line not connected to the address menu. I noticed yours has Jotform Pro on it mine is premium could that be the difference? I could not locate the cloned form. I cloned the form, so it is now available in your account. The clone maintained the original features and positions. 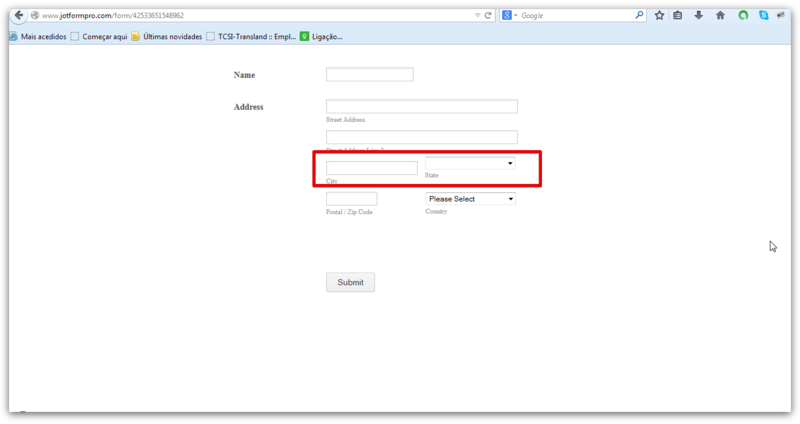 New response receivedI opened your cloned form up and the state drop down is on the form but it is in a different field not in the address field where it was on the form of yours that I looked at. I don't have the pro version just the premium is that the difference. 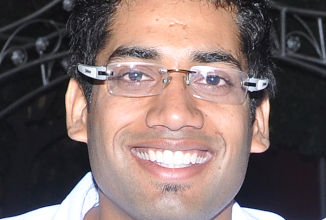 The difference between account types are mainly related to the monthly limits. 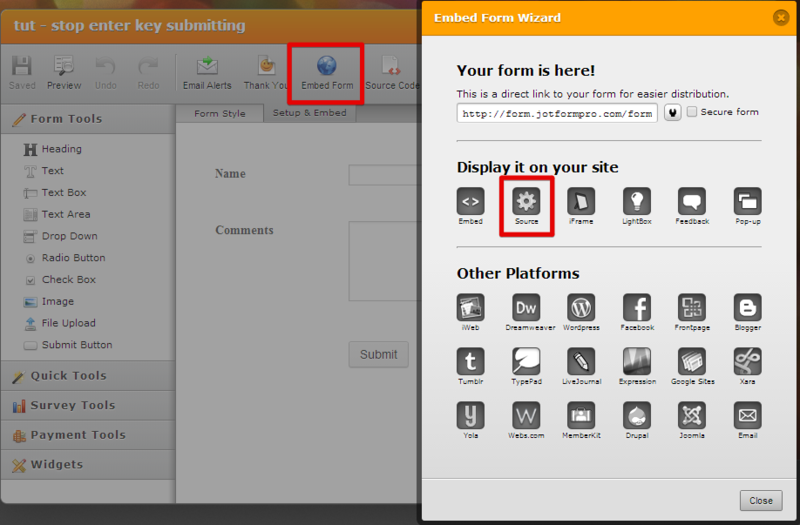 Free accounts have access to full functionality of Jotform application. I believe this is more a browser related issue.